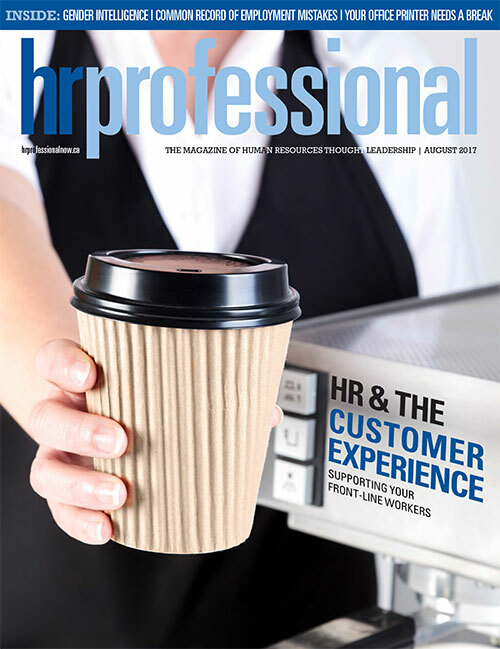 As the premier HR association in Canada, HRPA is internationally recognized and sought out for its knowledge, innovation and leadership. 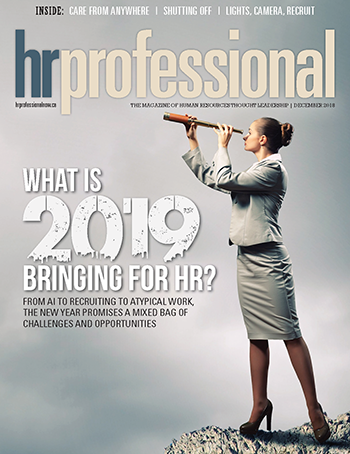 With more than 22,000 members in 28 chapters in Ontario, HRPA connects its membership to an unmatched range of HR information resources, events, professional development and networking opportunities. 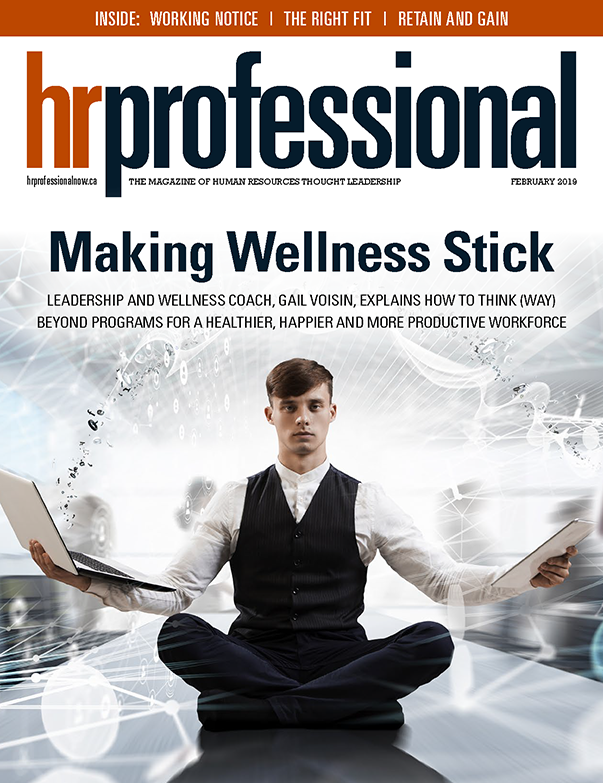 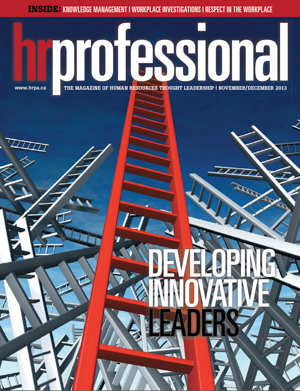 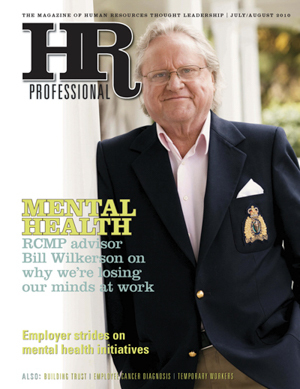 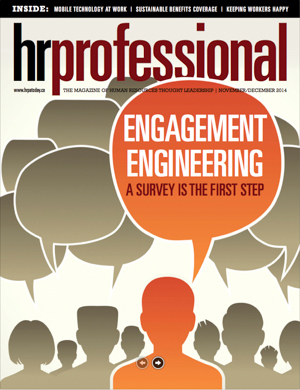 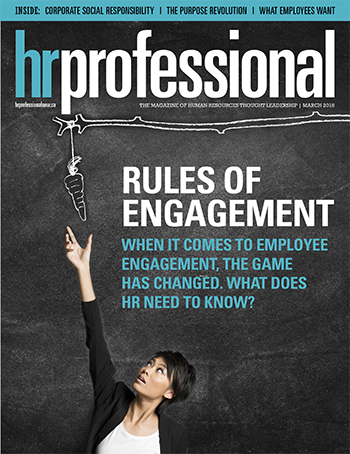 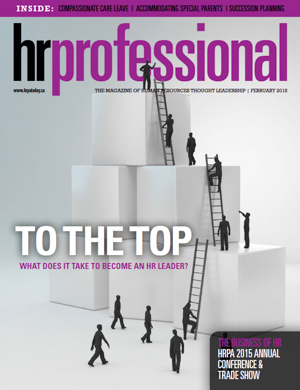 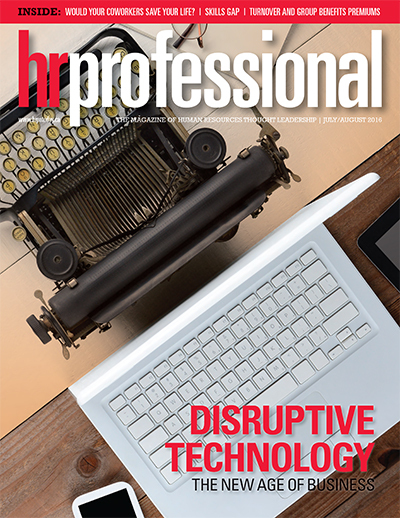 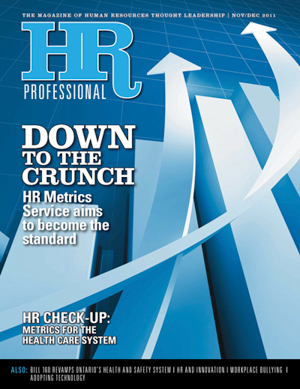 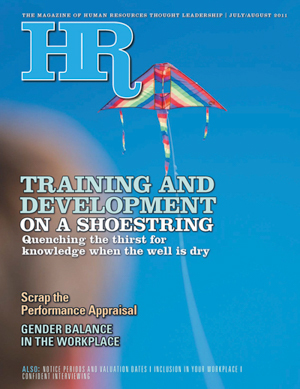 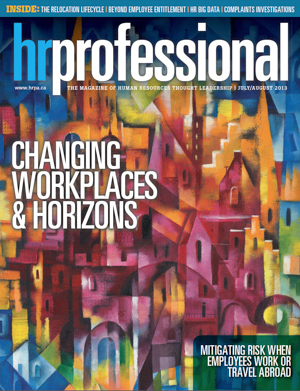 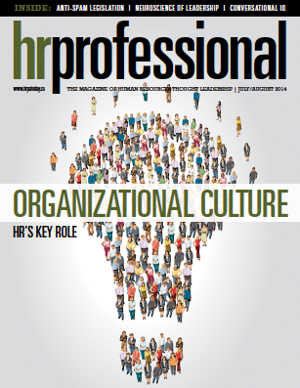 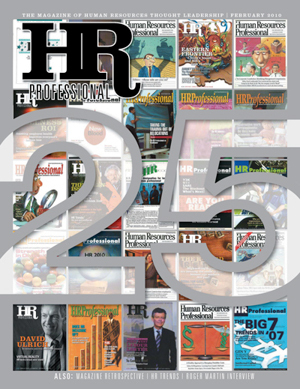 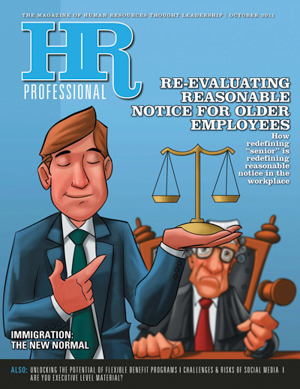 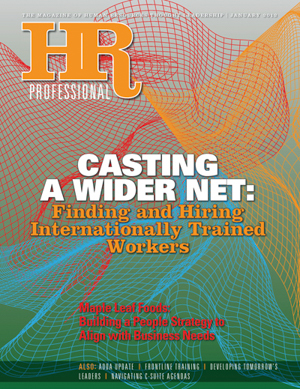 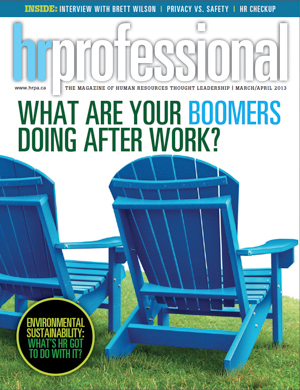 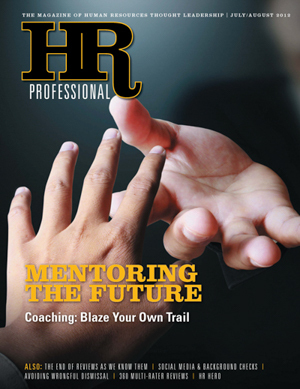 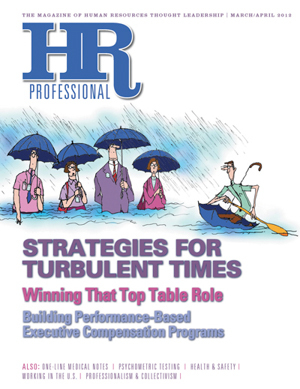 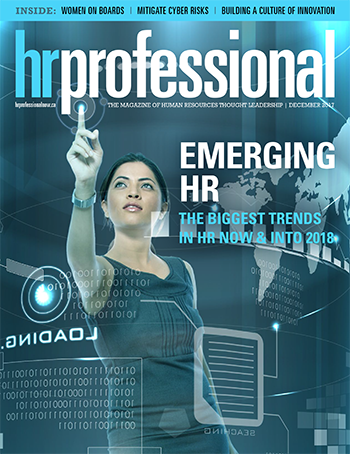 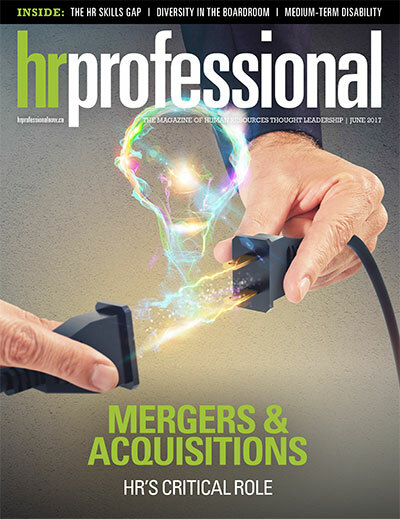 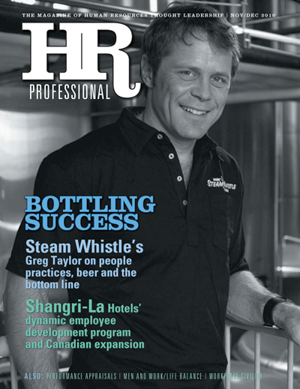 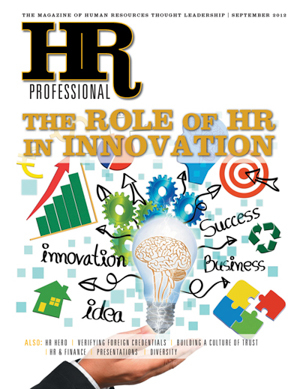 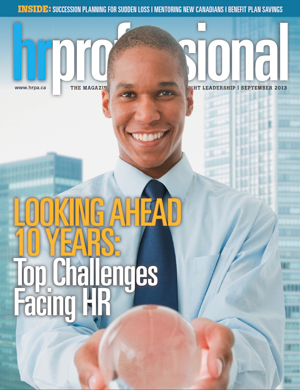 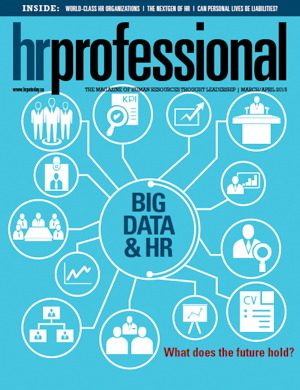 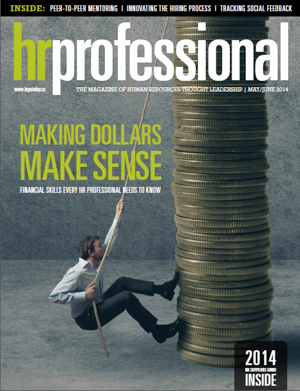 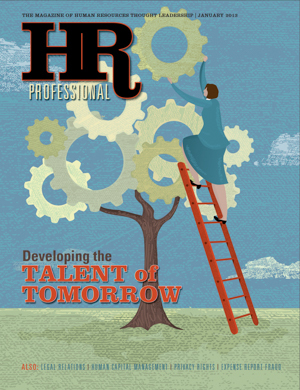 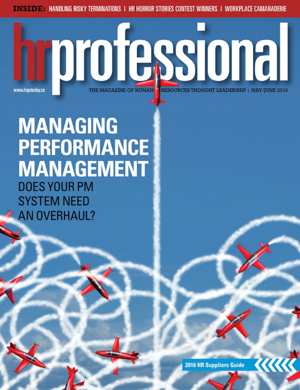 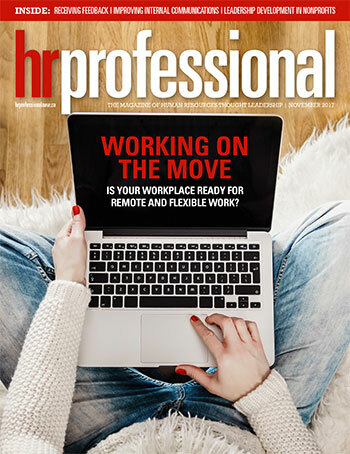 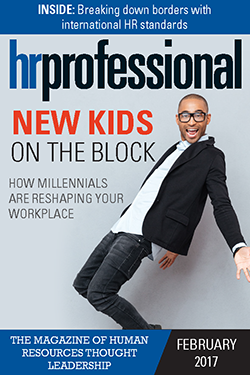 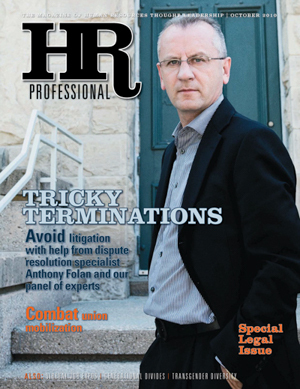 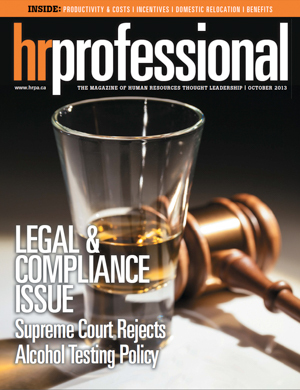 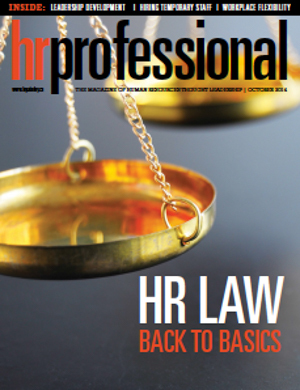 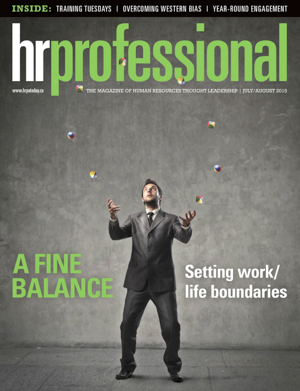 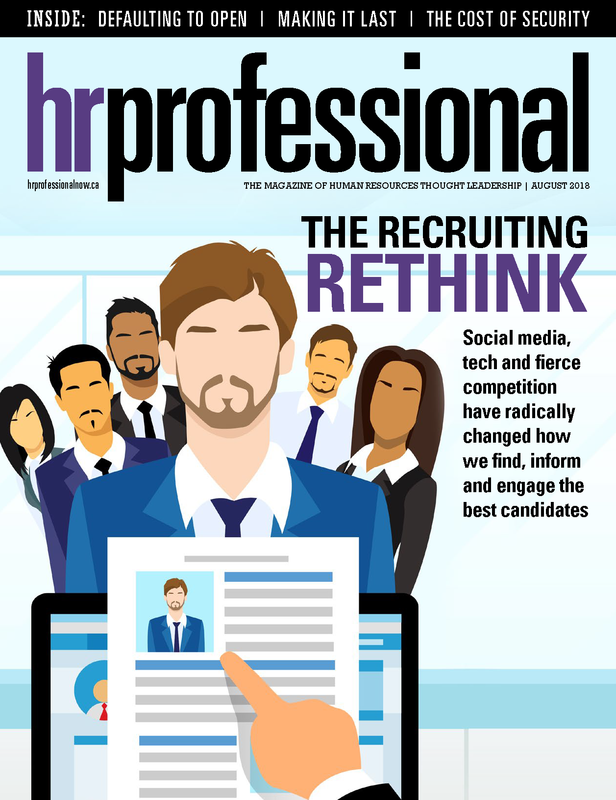 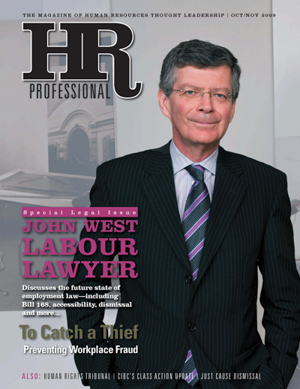 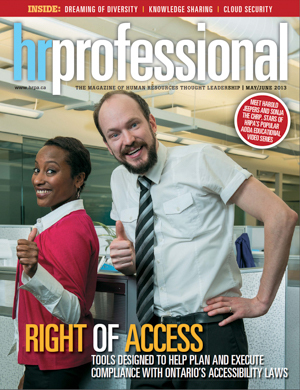 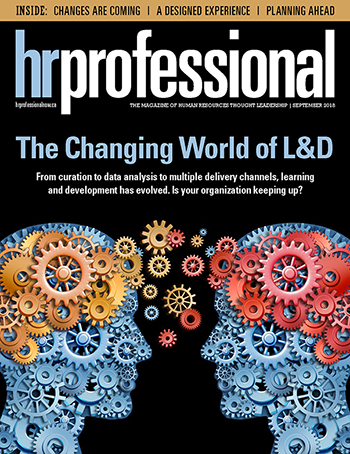 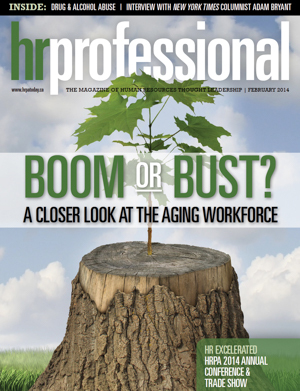 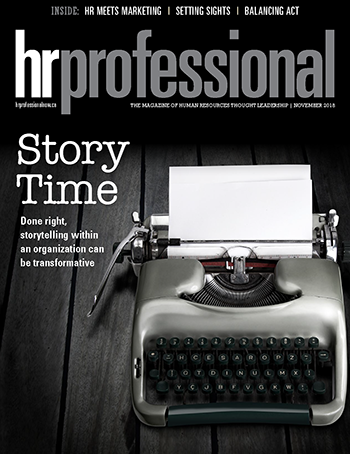 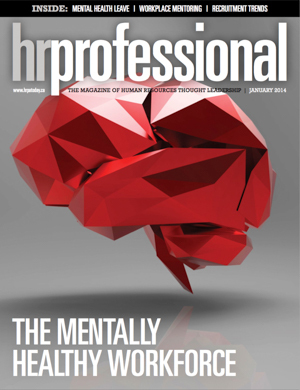 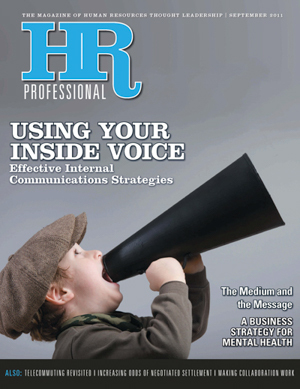 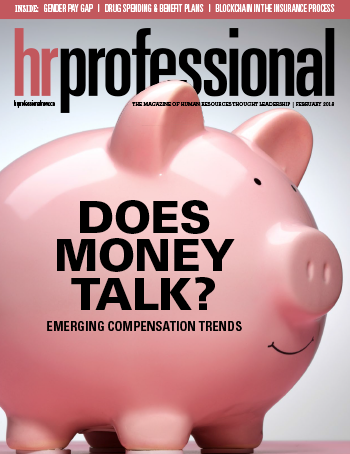 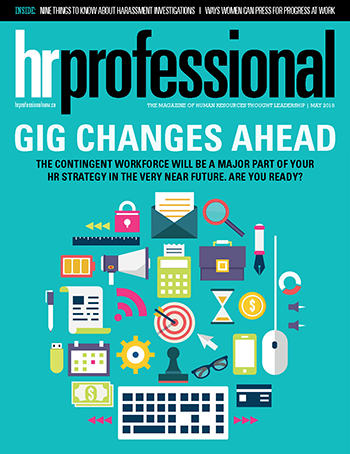 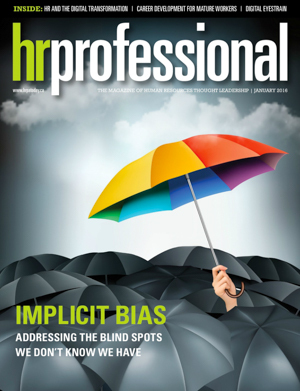 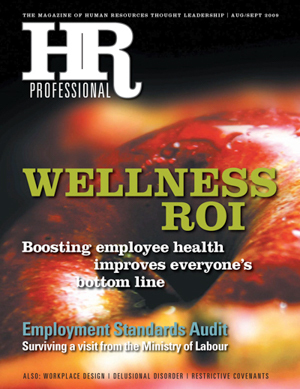 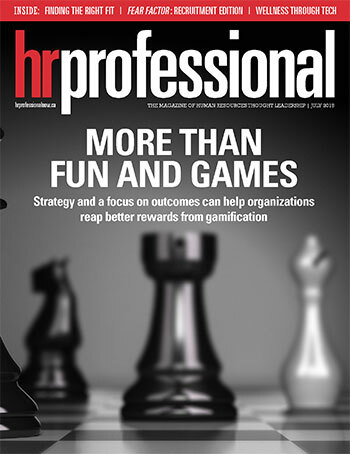 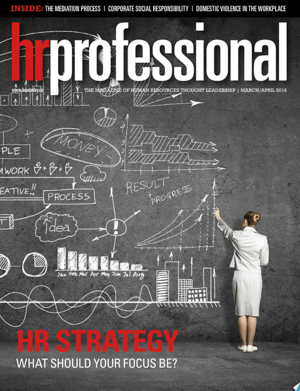 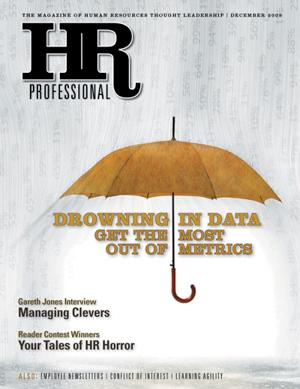 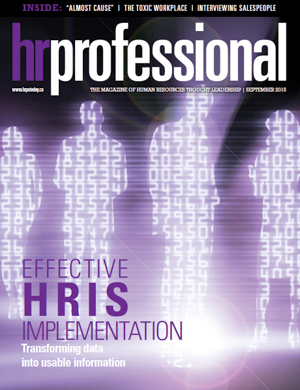 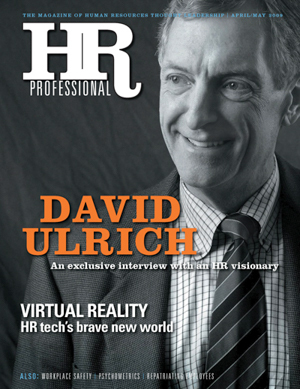 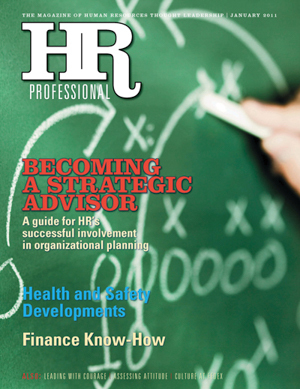 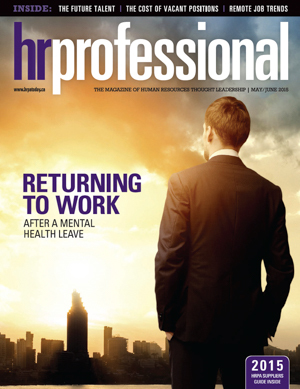 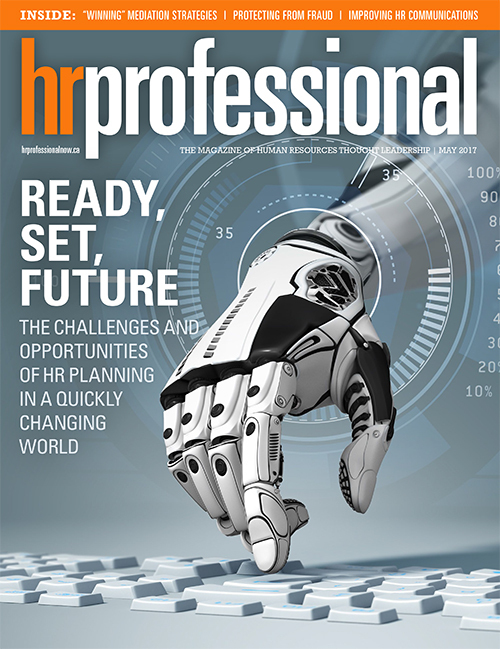 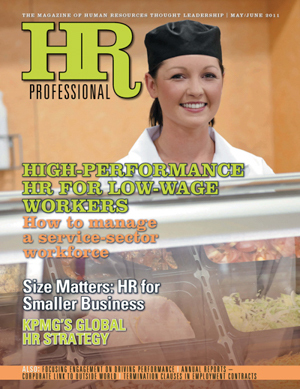 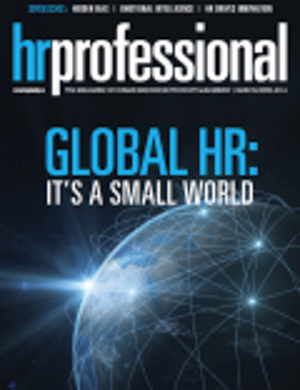 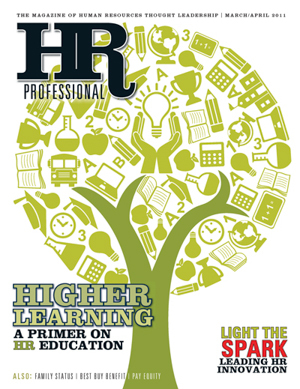 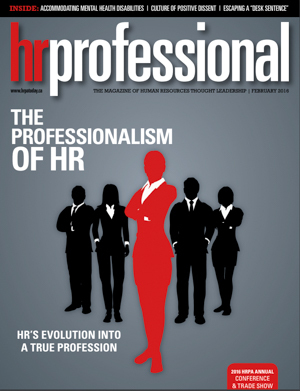 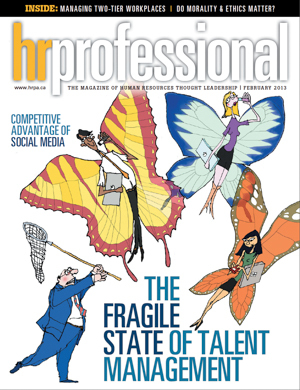 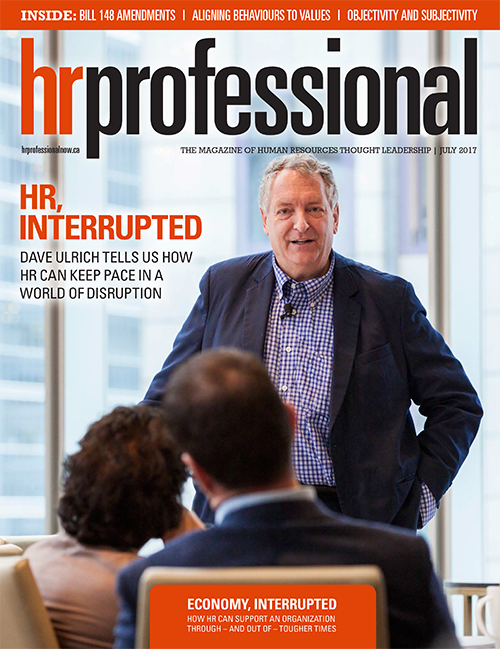 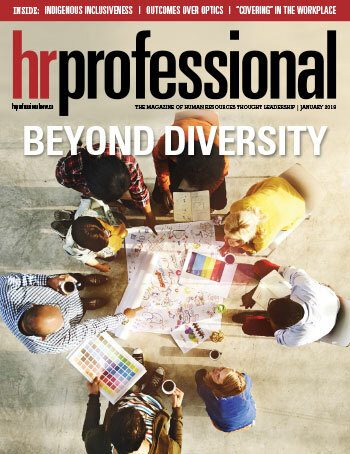 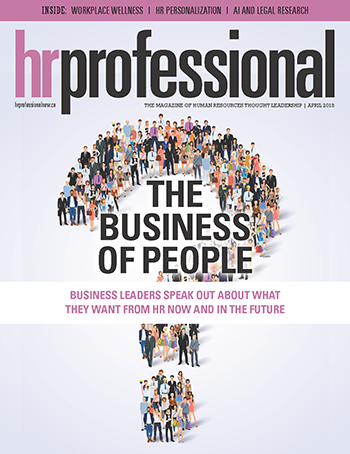 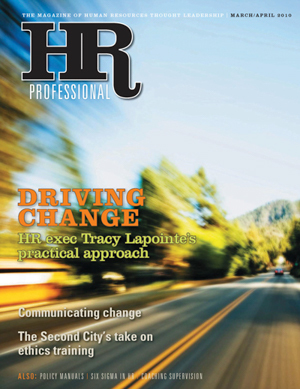 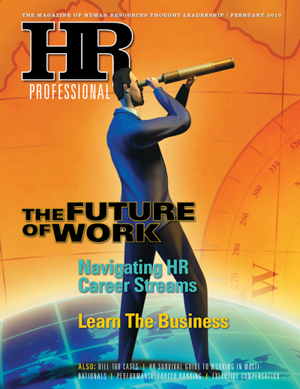 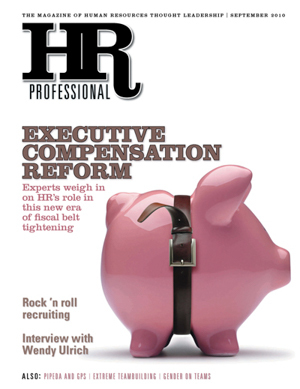 HR PROFESSIONAL is published 13 times per year for the Human Resources Professionals Association (HRPA). 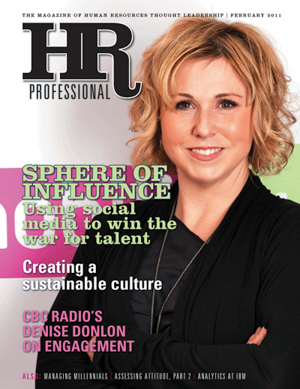 © HRPA – All rights reserved. 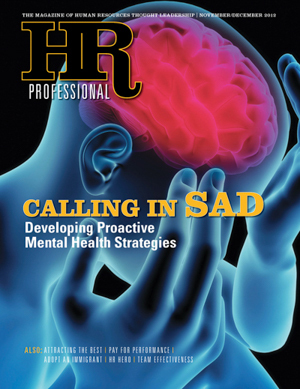 The contents of this publication may not be reproduced, in whole or in part, without the prior written consent of the publisher. 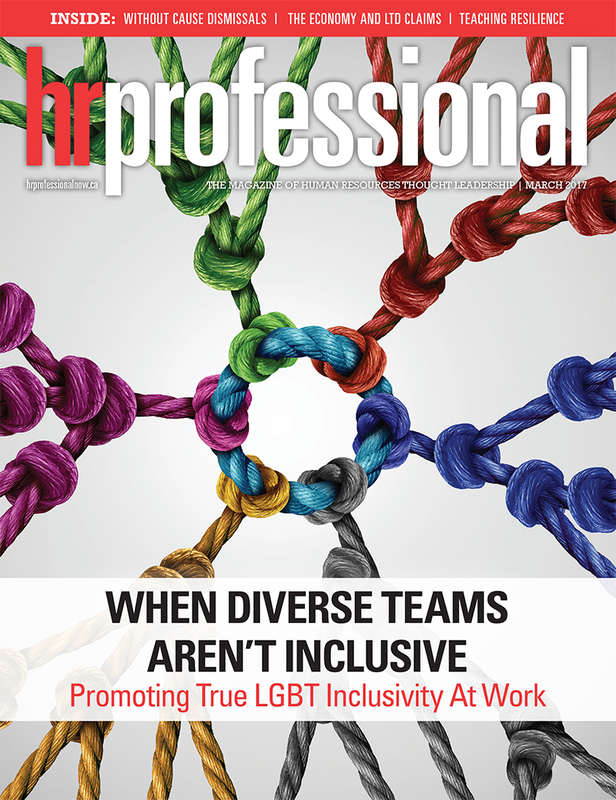 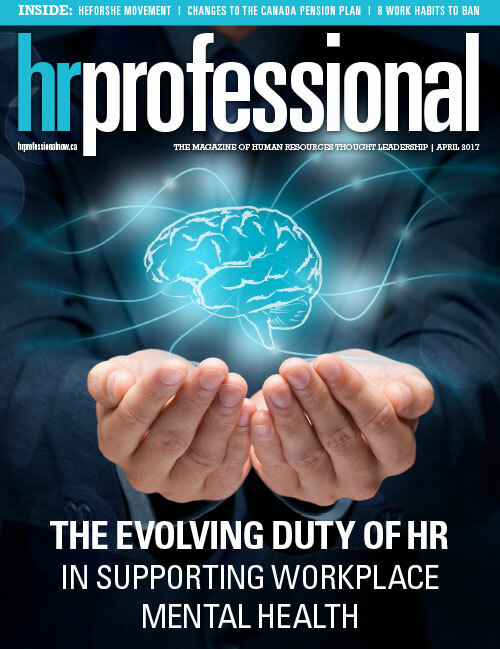 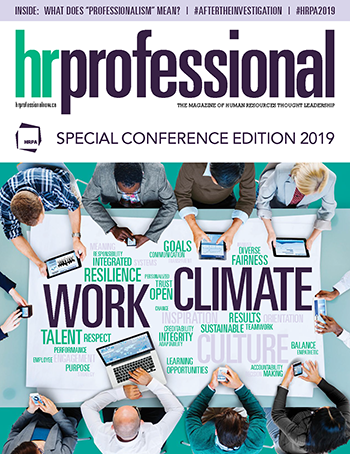 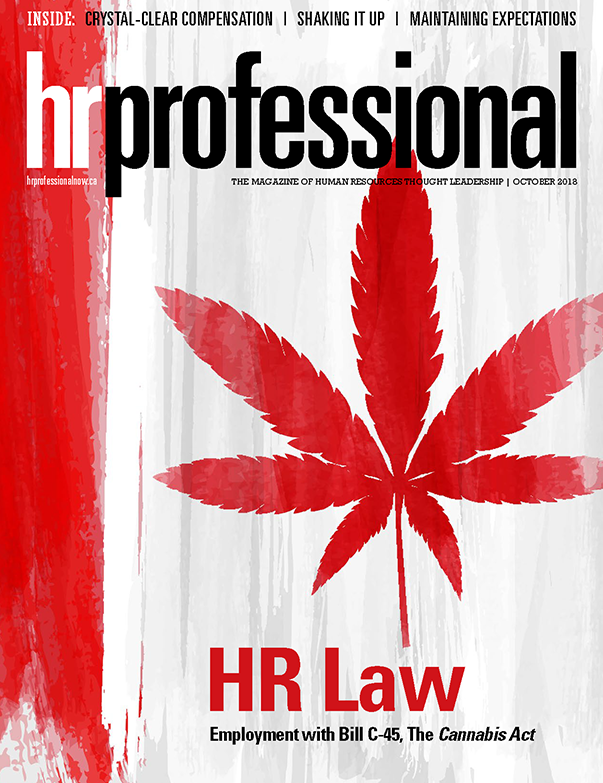 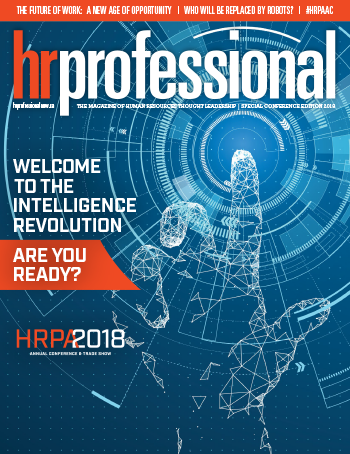 Disclaimer: The opinions expressed by the authors and/or editorial sources contained in HR Professional are those of the respective parties and do not necessarily represent the opinion of the publisher or HRPA. 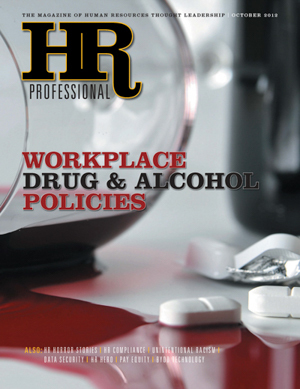 We collect information from you when you register on our site or fill out a form or install our mobile app. 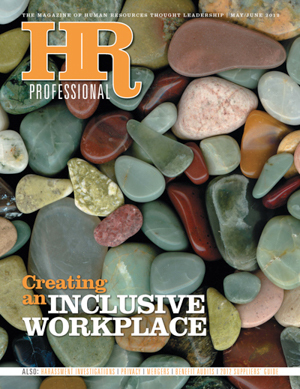 When registering on our site, as appropriate, you may be asked to enter your: name or e-mail address. 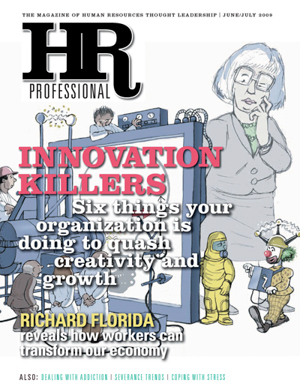 You may, however, visit our site anonymously. 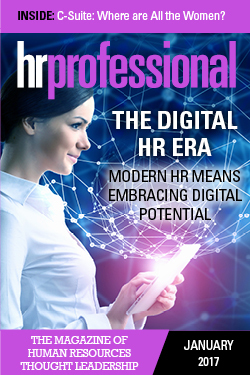 When installing our mobile app, the app requests basic permissions to be able to function properly, such as read/write access to download each magazine. 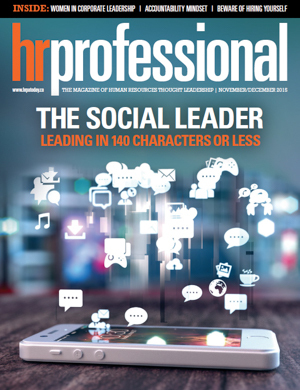 To improve our website or app. 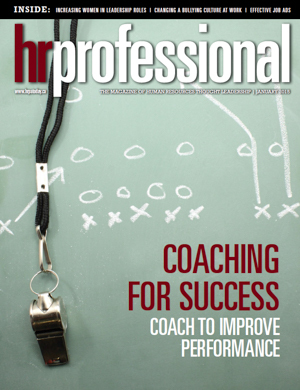 We continually strive to improve our website offerings based on the information and feedback we receive from you.